Selling a 2000 international AERO LIFT that was used for a sign company. Good truck in good condition. The truck has 75k with and automatic transmission. We are selling this vehicle due to upgrades in the company. If you are interested please contact me at the email or number you see on this post. 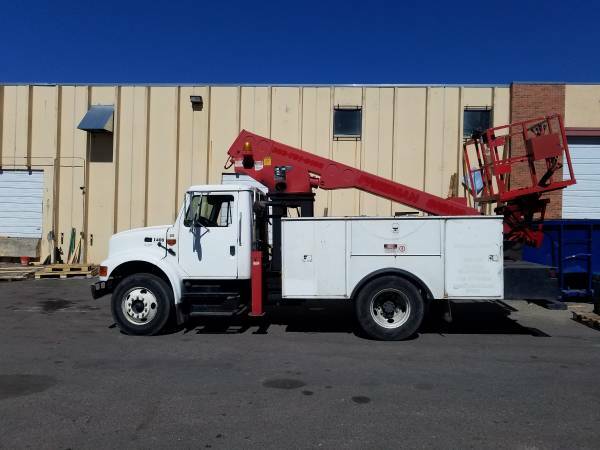 The price is 19,000 O.B.O Tags: Bucket Truck, Crane, Man Lift, Lift, Hoist, Altec, Terex, Bucket Lift, Bucket Crane, Service Truck, Sign Truck, Sign Company, Sign Equipment.